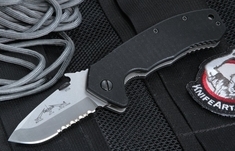 A legal carry knife that serves as the ultimate pocket protector, the Emerson CQC14 Snubby Knife available at KnifeArt has a blade that is just 2.7 inches long made of 154CM stainless steel with a conventional V grind and a black or satin finish. The lock is made of Aerospace grade titanium and the glass laminate handles are made of G-10 epoxy. 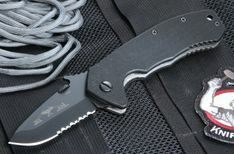 This 4.3 ounce knife boasts a blade of 57-59 RC hardness, a full-size handle and Emerson's patented wave opening feature. The blade is .125 inches thick. 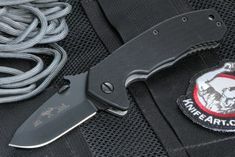 When you really need it in a pinch, the knife can easily be drawn from your pocket and then opened with one hand in an instant. 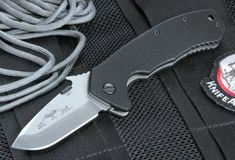 See this Emerson CQC14 Snubby Knife in the KnifeArt inventory and order today. Get it with fast, free shipping.